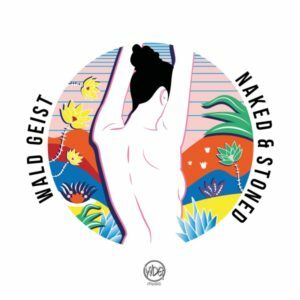 With his joyous combination of minimal arrangements and maximal craziness, Wald Geist is the newest addition to the WDG Music artist roster. Here on Naked & Stoned this talented and promising newcomer has prepared a fine assortment of stomping offbeat grooves paired with funky guitars emphasizing a startlingly exuberant attitude that will make you bang your head and shake your hips. Mastered by Robert Hundt/Radioactive.Cake at Anti-Logic (Berlin) with cover artwork by Kyra Münniks (Oldenburg). MP3 Download | FLAC Download | WAV Download · Download count: 6,550. Nice and funky guitar riffs mixed with groovy instrumentals and a stomping progressive beat. very nice release, my kind of progressive sound, cant belive that it have only 2.5 stars. Moin, I added all of the songs from this album to my video on Dailymotion. I enjoyed previewing this album, it was very funky. I will listen to Naked & Stoned in its entirety soon. Please do not hesitate to contact me with any comments. The link to the video is below. Thank you.